The transfer saga involving Zambia national team midfielder Clatous Chota Chama (Triple C) and Lusaka dynamos seems to far from ending after the Dynamos refused to release Clatous’s International transfer certificate (ITC) earlier today. 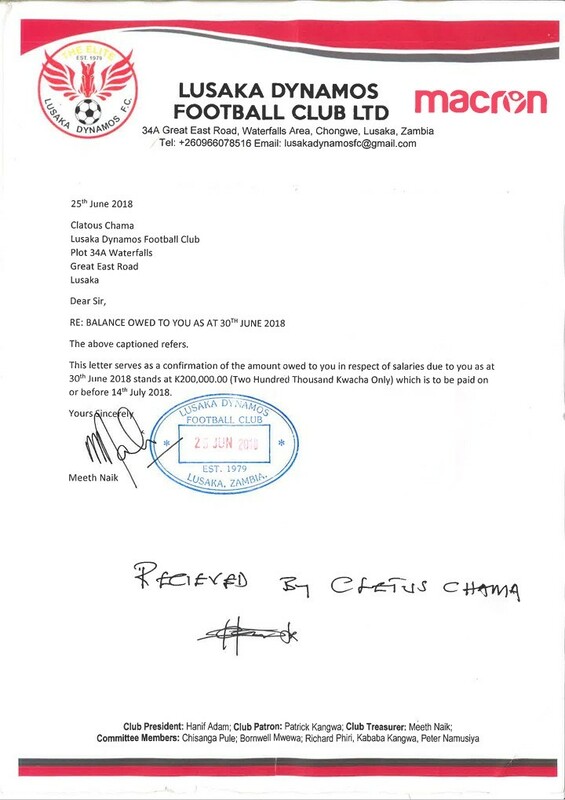 Simba SC, Chama’s new club requested for the ITC in the system but Lusaka dynamos declined the request. ” The club requested for the ITC but Lusaka dynamos refused to release saying he still owes the club, ” A Zamfoot crew source said. Another Zamfoot crew source revealed that there is however no evidence of the agreement between Lusaka dynamos and the player in question. ” In the system there is no evidence to show that the said agreement happened. They needed to put everything concerning the said agreement in the system and how they expected to get their money back, ” the source said. ” As things stand it’s only the document that which proves them owing Clatous money that’s in the system,” the source added. According to FIFA regulations a player moving to another country must be issued an ITC by his former club to make eligible to play for his new Club. With how things stand Clatous will not be playing for Simba in an official matches until the issue is resolved. The Tanzania transfer window also closes at midnight today. The Zamfoot crew understands that both clubs are planning to go the FIFA route to seek clarification which may result in a ban or a fine for the side that will be found wanting. Ccc is too good to play chipantepante. Let him join a professional club. At simba there is good labour remuneration. Ld,simba stars and ccc should solve this issue in an amicable manner. Let the boy go and sharpen his skills we need that guy in the senior team.